A magazine, yes, but also a cultural centerpoint. It even had mix CDs. Before the Top Gear reboot in the early 2000s, one name stood at the peak of car culture in the UK: Max Power. 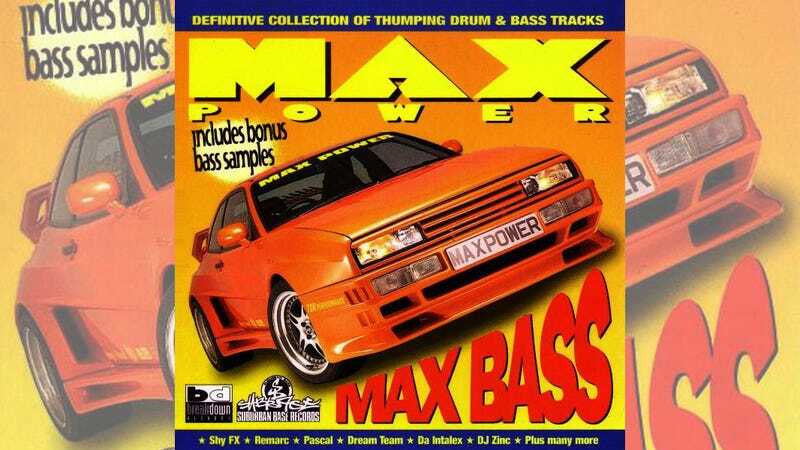 Max Power (back issues can be found here) was where you might now find every fiberglass-strewn Vauxhall, every G60 Volkswagen in mystichrome, every 900 horsepower Skyline and Supra to ever find itself in a hedge. Jonny Smith actually worked at Max Power back when, and while his fellow Smith & Sniff video human Richard Porter couldn’t not be part of the scene back in its end-of-the-century high point. American car nerds may not be extremely keyed in on Max Power, but it’s no great surprise when Smith refers to “the Max Power era.” The mag defined the bass booming, underglow blinking age of tuner culture when kids had money in the ‘90s and early ‘00s. Basically, everything that was spoofed on the “un-pimp your auto” ads, or anything that you’d see Xzibit revealing from under a car cover. But Max Power came before them. “It kind of fit in with the whole ‘new lad’ era,” as Porter points out, and Smith agrees. “It was lads loaded, with Brit Pop, and pre-social media. Pre-forums in many ways.” Circulation climbed above 200,000 in the late ‘90s into the ‘00s, as The Telegraph reported in early 2011, a few months after its demise in late 2010. Smith remembers Max Power being the biggest car magazine in Europe, full stop, modified or not. It was collecting half a million pounds per issue at its peak in advertising alone, so mainstream that “Max” was considered for entry into the Oxford English Dictionary as normal lingo, per The Telegraph. If there was anything trashy, Max Power leaned in, from Chav-branded cars to reporting on Smokey Nagata’s famous 197 mile per hour run on the highway, for which he was arrested and deported. I’m always amazed at how quickly we all forget the really very recent car culture that existed before social media. We got to see the Signal Auto Skyline here at Jalopnik just the other day, a car that was an absolute icon in the first decade of this century and is now virtually unknown to anyone who didn’t see it with their own two eyes (or on a Super Street cover). We need a full oral history of Max Power, as Porter notes. Until then, we have this memory of a past era, why it was big, and what we miss about it. Why Do They Sell Clothes At Highway Rest Stops?